Dr. Ryan C.C. 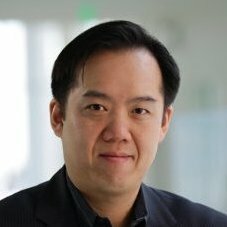 Chin is the managing director of the City Science Initiative at the MIT Media Lab. He conducts research on new urban systems in the areas of urban mobility, live/work, building-integrated agriculture, and big data analytics. He leads efforts at the Media Lab to create Autonomous Mobility-on-Demand (MoD) Systems – a network of self-driving, shared-use, lightweight electric vehicles (EVs) for cities. He also developed MoD EVs including the GreenWheel, RoboScooter, Persuasive Electric Vehicle, and the CityCar – a foldable, electric, two-passenger vehicle. The CityCar is designed to meet European Union regulations for roadworthy urban EVs. Time Magazine named CityCar the “Automotive Invention of the Year” in 2007. Dr. Chin consults and advises industry and government agencies in the areas of Smart Cities, mass customization, and sustainable urban systems. His professional education course “Beyond Smart Cities” attracts global participants from corporate, public, and educational sectors. He frequently travels as a speaker and panelist at conferences like TEDx, MIT EmTech, and Smart City Expo.